Hello everyone, how are things going for you? I didn’t mean to be away for so long, but sometimes life gets in the way, as they say. 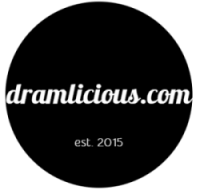 Anyways, March was jam-packed with new releases such as Laphroaig Lore, Arran 18 Years Old, Ardbeg’s 2016 Committee Release Dark Cove, Highland Park Ice Edition and Wolfburn First General Release. So plenty of new malts to explore, but since it’s Monday, let’s kick off the week with a whiskey from across the pond! 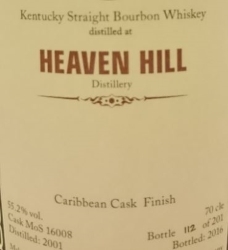 I guess Malts of Scotland likes to mix it up when it comes to maturing / finishing bourbon, because after the Heaven Hill 2001 Sherry Hogshead and the Heaven Hill 2001 Port Cask Finish from last year, we just got another Heaven Hill distilled in 2001, this time finished in a “Caribbean cask”. At first mainly nutty ice cream and Belgian coffee sweets (coffee filled bonbons), together with hints of brown sugar, toffee, caramel syrup and raisin nut chocolate. Becomes fruitier with red apples and apricots. Starts very sour and sulfurous, like burning matchsticks. After those strong notes, burnt brown sugar, caramel and raisins come to the front. Yes, it kinda tastes like a high strength brown rum now. Medium and warm with more sulfurous elements, followed by some fruity undertones. I’m not sure if it’s the bourbon, the Caribbean Cask or a combination of both, but I personally don’t find this expression very intriguing. It’s a nice relief from your “typical bourbon”, but nothing to write home about. The nose is good, the taste would be nice without the sour and sulfurous notes, but the real deal breaker for me is the very shallow and undefined finish.